Live streaming is the way of the future. Google even just released information about their latest venture, Stradia, which will make YouTube live streamers and gamers even more profitable than before. But are you fully aware of what your child can access on live video streaming? And are do you understand the monitoring or lack of monitoring that is behind these instant, live action videos? Most people around the world heard about the horrific tragedy in Christchurch, New Zealand from mid March, but there were surprisingly many who didn’t realize that the entire event was orchestrated to go live on Facebook and several other social media outlets. 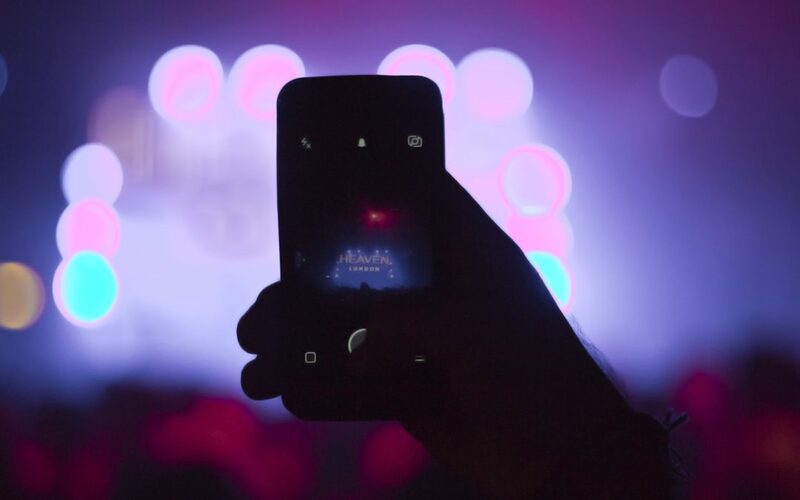 When an event like this is spread to the digital world, it takes mere seconds for other internet purveyors to capture the video and start sharing it again and again. Since the tragedy, YouTube executives have been working tirelessly to make sure the video is not redistributed on their platform. Thursday night, news of the New Zealand shooting was delivered first to me via social media. An intended “quick check” of my newsfeed after the kids’ were sleeping soundly suddenly turned into something that continues to weigh heavily on my mind. As a proud supporter of the gun violence prevention movement here in the United States, my heart immediately sank. Every day, nearly 100 Americans are shot and killed, and hundreds more are wounded. And no matter where tragedies take place around the world, our hearts go out to those whose loved ones were shot and killed and whose lives were cut short or taken by gun violence. The sadness and shock of the situation, one that we feel all too often due to violence and hatred, turned to outrage as the Trepid Tech Mom in me boiled over. How could this awful tragedy be livestreamed? How could it take so long to take down—especially since these social media platforms are so quick to censor seemingly harmless content? How WILL we demand better of these platforms?Yes, social platforms have an enormous job to monitor user content. But it’s still their responsibility. They must do better. And I’m convinced they can do better. Rant is coming as I echo this parent’s concerns. The other day, I commented on a Facebook thread (that discussed digital parenting) with a link to Trepid Tech Mom content. It seemed appropriate to me but within moments my comment was removed because it violated Facebook’s policy of self-promotion. In the post above, the parents’s livestream of their child’s high school basketball game was censored within minutes because Facebook detected a song and claimed copyright infringement. Okay. If these are things Facebook wants to “flag” and remove, that’s fine. But if they can detect “self-promotion” and “copyright infringements” within moments, it seems a tough argument they can’t detect gunfire and put a stop to it right away. Back to the Facebook post pictured above. In fact, the entire attack seemed orchestrated for the social media age. Before it took place, a post on the anonymous message board 8chan — a particularly lawless forum that often features racist and extremist posts — seemed to preview the horror. It linked out to an 87-page manifesto filled with anti-immigrant and anti-Muslim ideas, and directed users to a Facebook page that hosted the live stream. Posts on Twitter also appeared to herald the attack. “It is not just a question about broadcasting a massacre live. The social media platforms raced to close that down and there is not much they can do about it being shared because of the nature of the platform, but the bigger question is the stuff that goes before it,” said Dr. Ciaran Gillespie, a political scientist from Surrey University. So what do we do with all of this anger and energy? We do our best to honor with action. We do our best to make the Internet a safer place and help ensure our children don’t witness the New Zealand terrorist attack before we, adults, even heard about it as one parent experienced. We do our best to talk with children about tragedies in age-appropriate ways. We do our best to take care of ourselves so that we can continue to take care of our families. We do our best to spread kindness. We do our best to prevent gun violence in all its forms. Take action: Know our voices make a difference. Sign up to join Common Sense Media’s movement and get the information you need to take action for kids. Take action: If you or your children see any videos showing this footage, flag it immediately to social platforms for removal. And in the case of the New Zealand shooting, DO NOT share the video if you come across it online. Take action: Utilize the many resources available to us as parents and caregivers that help teach our children about online safety. Guide children in this world, both online and off. Teach children how to be good digital citizens. Interact with technology alongside children. Talk about technology with children. Serve as role models for children as to what healthy digital habits look like. Keep up with the latest in safe and thoughtful digital parenting. Inspire all, young and old, to think about technology and how it can impact—both positively and negatively—ourselves as well as those around us. Substance Abuse and Mental Health Services Administration (SAMHSA) — SAMHSA’s Disaster Distress Helpline provides 24/7, 365-day-a-year crisis counseling and support to people experiencing emotional distress related to natural or human-caused disasters. Call 1-800-985-5990 or text TalkWithUs to 66746 to connect with a trained crisis counselor. Crisis Text Line — Crisis Text Line serves anyone, in any type of crisis, providing access to free, 24/7 support and information via a medium people already use and trust: text. Text HOME to 741741 from anywhere in the United States, anytime, about any type of crisis. National Suicide Prevention Lifeline — The Lifeline provides 24/7, free and confidential support for people in distress, prevention and crisis resources for you or your loved ones, and best practices for professionals. Call 1-800-273-8255. Take action: Open the door for someone. Offer a smile. Send a card. Say thank you. Tip your wait staff an extra dollar or two. Pay for someone’s coffee in the drive-through. Call a loved one to say hi. Shovel the neighbor’s sidewalk. Offer to sit with a new mom’s baby so she can shower. Do anything that is kind. It has a ripple effect. Tragedies such as the New Zealand shooting offer additional opportunities to spread kindness at places such as your local Muslim Association to show you stand unified against hate. We at WebSafety are so grateful for the parents and families who are doing all they can to educate our community about safe internet practices. 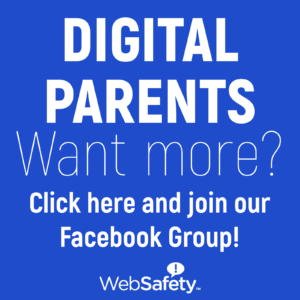 Please join our Digital Parents by WebSafety Facebook Group and share your own contributions, thoughts and insight. We welcome you, your expertise and your questions!